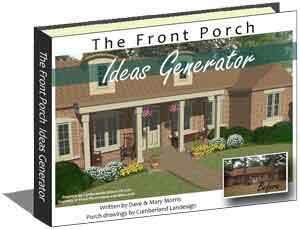 September - Friday night football games, school activities, fall construction projects, and cooler temps mean more porch time. 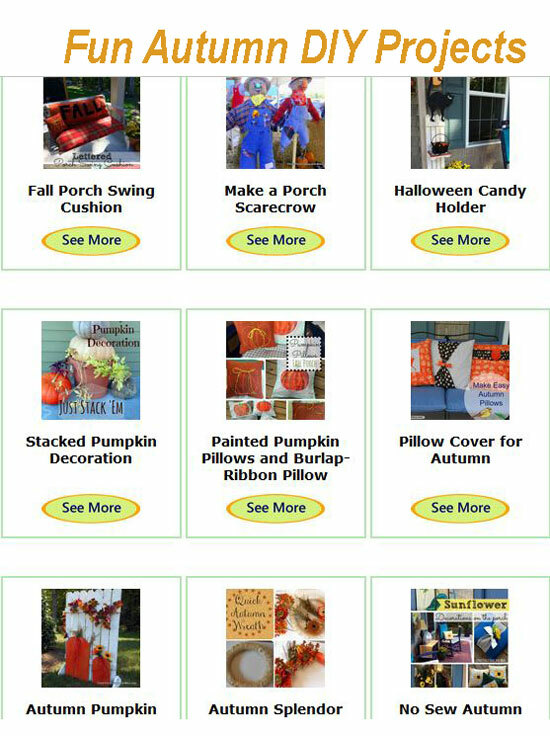 We know many of you like to decorate your porch for fall so our goal in this issue is to give you plenty of ideas. 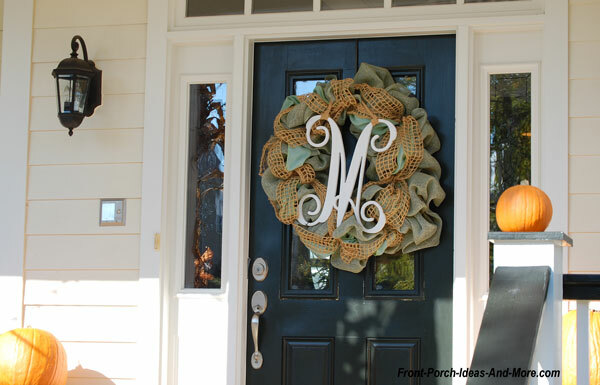 Whether you have a huge wrap-around porch or a small space to decorate, there are many easy things you can do to celebrate arrival of fall. 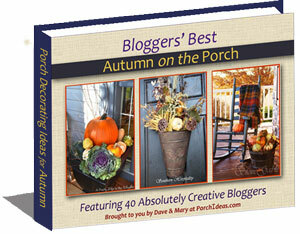 Mary and I put together fall decorating ideas from 40 creative and inspirational bloggers. 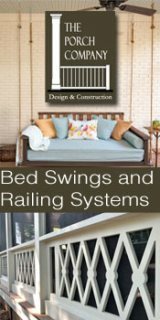 Enjoy our eBook on your computer, laptop or tablet! 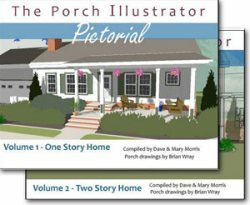 Our "Autumn on the Porch" eBook is truly nice for someone you know who loves to decorate their porch. 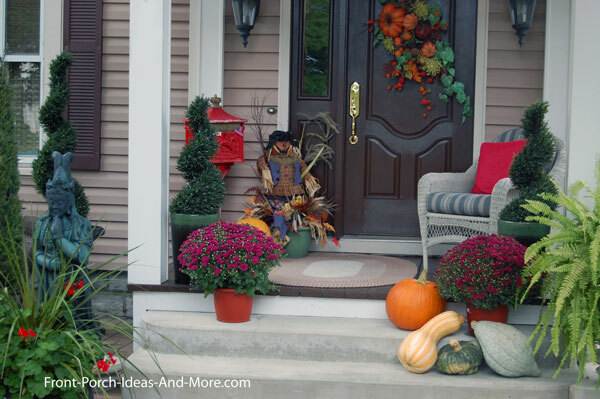 So let's look at some stylish fall decorating ideas that add a touch of elegance without breaking the bank or taking up your porch sitting time. 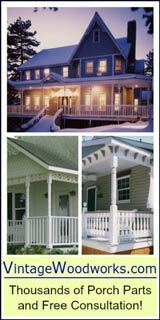 And then we give you suggestions (with some product links) that will help you replicate the look of these pretty porches. 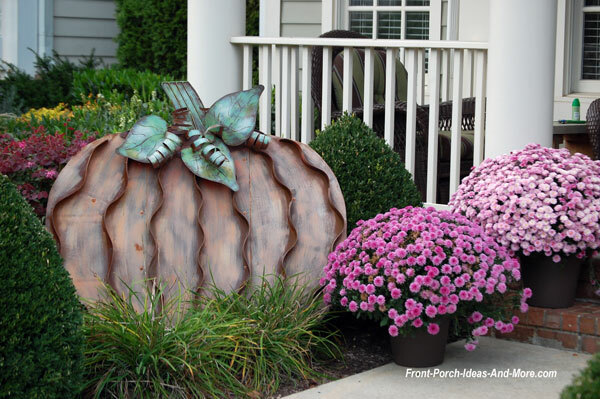 You could do this on your autumn porch! 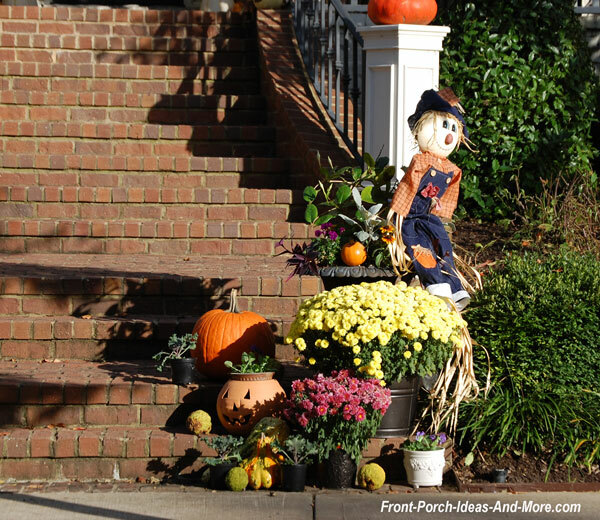 Simply combine pretty mums and pumpkins on your porch steps. Leave room to walk. Instant autumn and charm. 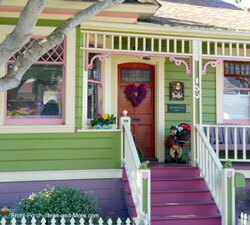 Then if you got hardy mums, you can plant them in your garden for color year after year (for most planting zones). 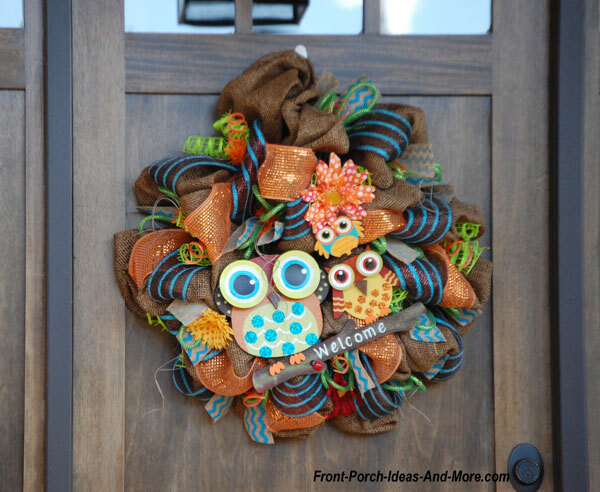 How to get this look: Drape an attractive fall garland over your door and add a complementary wreath. 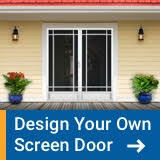 Stencil "Welcome" on the front door for a most inviting touch. 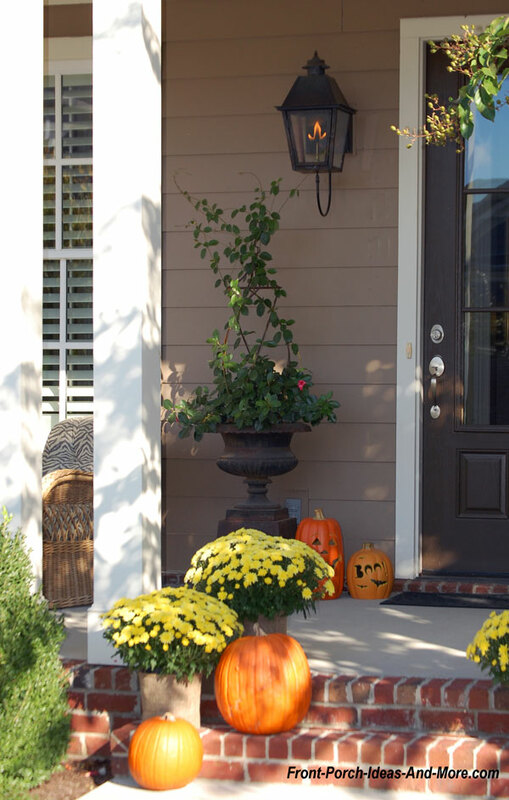 Want to Replicate This Fall Decorating Style? 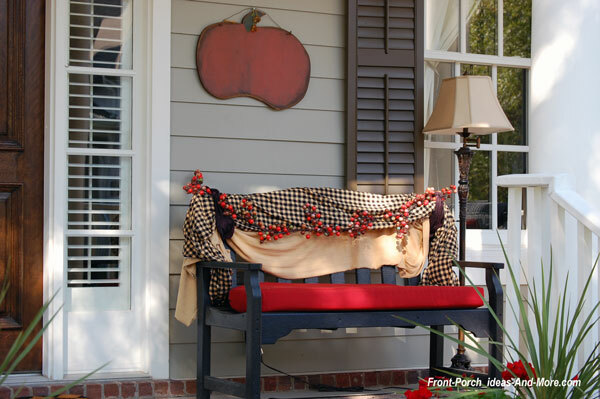 Drape two pieces of inexpensive fall fabric along with autumn berry garland on the back of a bench, add a bright red cushion, and hang outdoor artwork on your porch to create a most welcoming seasonal array. 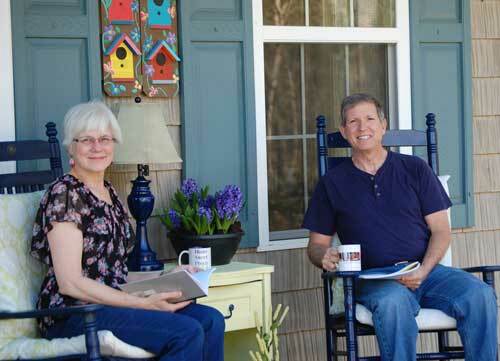 Mary and I use an outdoor lamp and timer on our porch to create a sense of warmth for fall evenings. It's remarkable what a difference the soft lighting makes on our porch in the evenings. 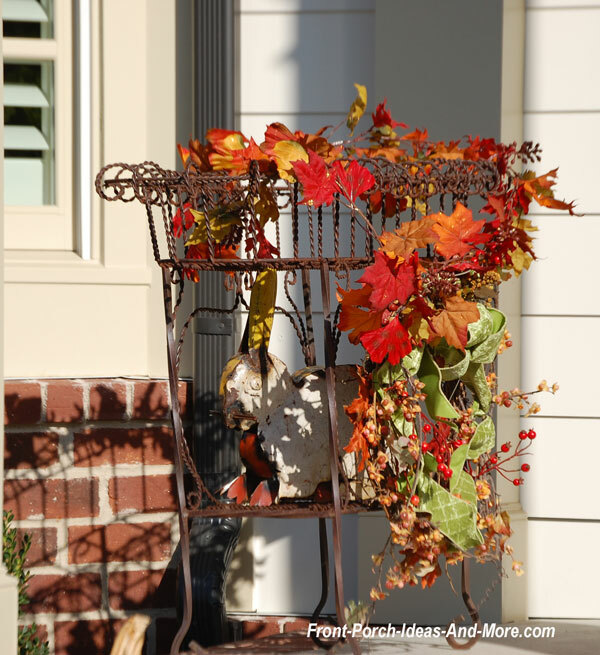 Enjoy our Autumn Decorating Ideas Section that contains timeless decorating ideas and tips. 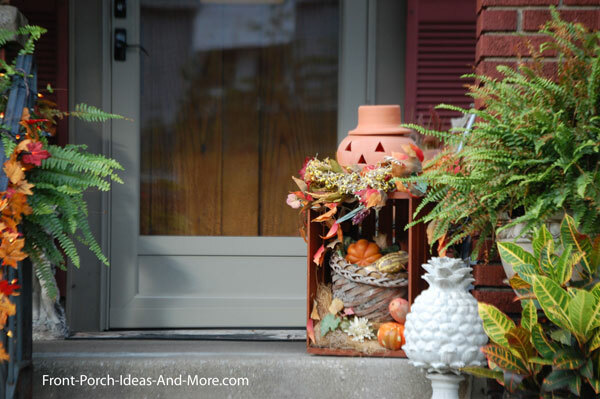 Check out these fun DIY fall decorating projects you can use inside or out. 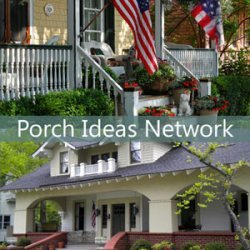 No matter whether you are a "Friday Nights Lights" or a "Sunday Game Day" (or both) sports fan, support your favorite team with these ideas for your porch and home. 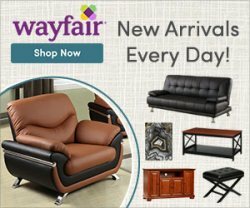 Mary and I discovered some really fun football decorative items that show team spirit and will look fantastic on your porch this season - all from Amazon to make purchasing easy and delivery quick. 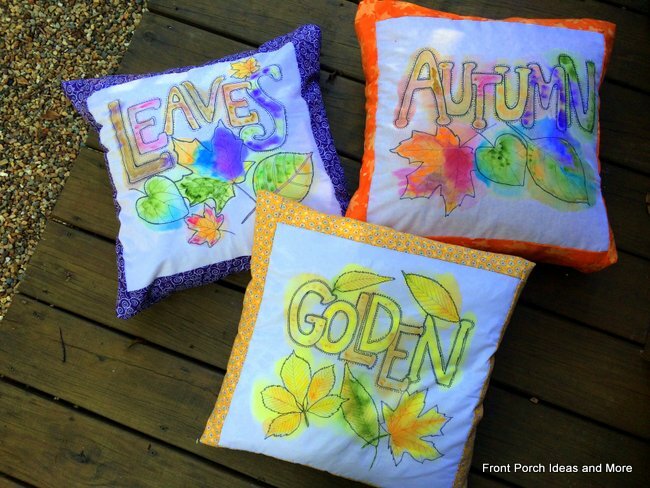 In our next newsletter coming out in early October, Mary shows you how she made these watercolor autumn pillow toppers and how she carried out that theme on our autumn porch. 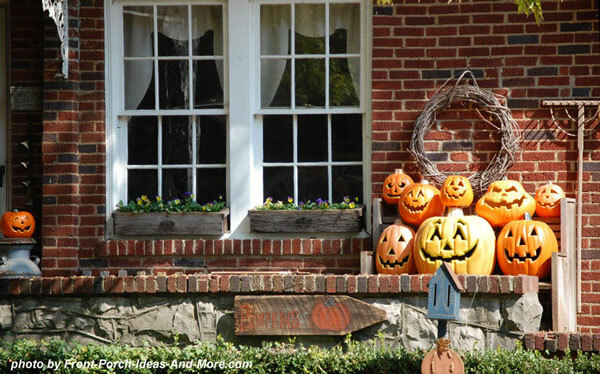 And we're putting together Halloween decorating ideas, too! See you in early October! 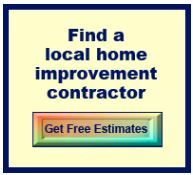 Next newsletter is coming soon. 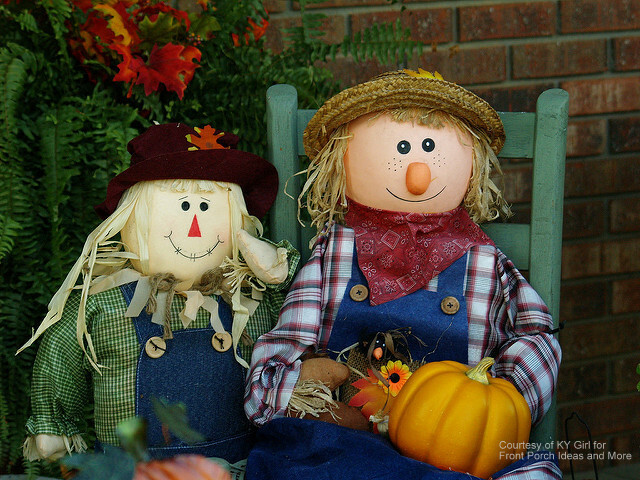 We hope you enjoy autumn and all its splendor. Always feel free to share our newsletter with friends and family.